macOS is a series of operating systems developed by Apple for their Mac platform. macOS is the second-most commonly used operating system after Microsoft Windows. It first became publicly available in 1984 with the release of the Macintosh 128k. The classic Mac OS was originally written for the Motorola 68k architecture. The 68k architecture was used from 1984 to 1991, after which Apple transitioned to PowerPC. PowerPC would be used until the classic Mac OS's discontinuation in 2002. Classic Mac OS was based on a simple kernel design, which eventually became too limited and crash prone for applications. In response, Apple bought NeXT and used NeXTSTEP as a base to develop Mac OS X. Mac OS X continued PowerPC support until 2006 when Macs started shipping with x86 (Intel) processors. Support for PowerPC in Mac OS X was dropped in 2009. The Classic Mac OS can run standalone, and under Mac OS X using the Classic system layer. Only certain versions of Mac OS 9 can run under the Classic system layer, and the layer itself was dropped after Mac OS X Tiger. PearPC is a useful emulator that can run PowerPC builds of Mac OS X under Windows or other x86 operating systems. PCE and QEMU is also capable of running earlier builds of MacOS and VirtualBox can run x86/64 builds of Mac OS X. The original Macintosh System Software is based on the Lisa OS and UI concepts from Xerox PARC. It uses a monolithic architecture but lacks support for memory management, protected memory, access controls, and conflict-free extensions. Only one application at a time could be supported under System Software until version 5 when MultiFinder was introduced. In 1997, Apple rebranded the Macintosh System Software to Mac OS. 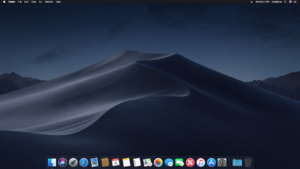 Mac OS would continue to be developed until the introduction of Mac OS X, after which Apple only delivered minor updates to the classic Mac OS. The final minor updates were designed to ease the transition to OS X. Carbon, an API introduced with Mac OS 8, works as the transitional API for classic Mac OS and Mac OS X applications. Mac OS 7 7.0-7.6.1 Released in 1991-1997 Big Bang, Superbeta, Cube-E, Shuswap, Capone, Jirocho, Mozart, Son of Buster, Unity, Zeus, Gory, Harmony, Ides. Mac OS 8 8.0-8.6 Released in 1997-1999 Copland, Tempo, Bride of Buster, Sequoia, Snowman, South Park, Allegro, Horatio, Veronica, Sarah. Mac OS 9 9.0-9.2.2 Released in 1999-2001 Sonata, Minuet, Fortissimo, Moonlight, Limelight, LU1. Mac OS X is the current incarnation of Mac OS. The first version released was Mac OS X Server in 1999. Unlike the classic Mac OS, Mac OS X is based on NeXTSTEP (OPENSTEP) and uses its frameworks and architectures. In 2016, Apple began to use the macOS moniker to brand Mac OS X alongside their other operating systems (watchOS, tvOS, iOS).